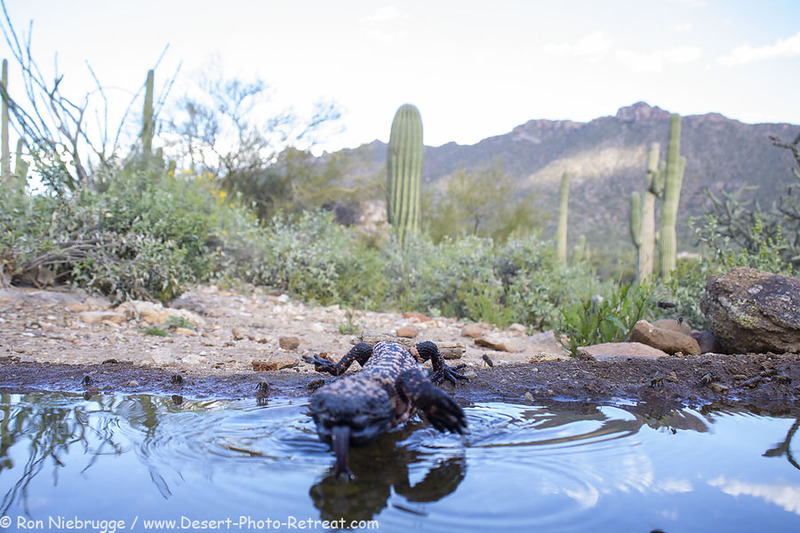 Gila monster, Desert Photo Retreat, Arizona. Yesterday with my camera trap! The problem with being just two feet from your subject is the limited depth of field. I typically focus right at the water’s edge as that is where the wildlife stops usually pauses, but unfortunately the gila monter headed right into the water! So close to being a cool photo, but another near miss. 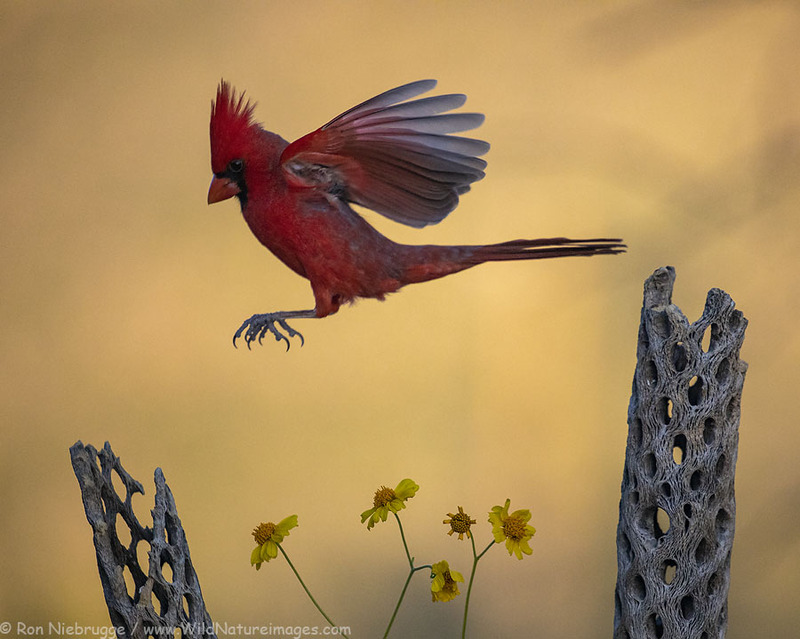 Northern Cardinal, Desert Photo Retreat, Arizona. First time in some time that we haven’t had guests out here at the Desert Photo Retreat – that is a good thing, I’m definitely not complaining! So last night I went down to the lower blind and had some fun with the birds! Also set up a camera trap, but unfortunately messed up focus so won’t be showing those photos. 🙂 It is so easy to bump the lens. Desert Photo Retreat, near Tucson, Arizona. Playing with the stars last night. I had so much fun with last week’s night photography workshop, I was considering doing another one maybe on April 5. Interested? Brown / Grizzly Bear, Lake Clark National Park, Alaska. A brown bear trying to find a comfortable spot to sleep on a log! 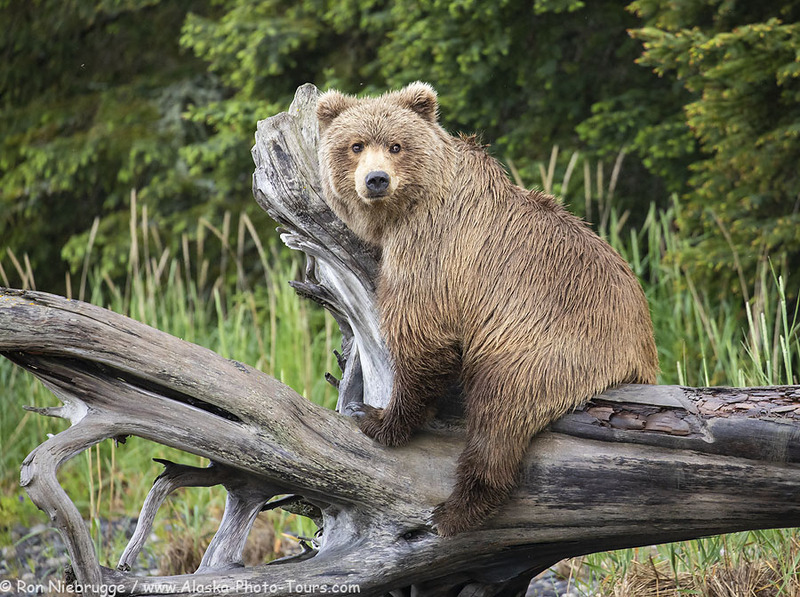 We just had a cancellation for our upcoming June Alaska Bear Photo Tour – This trip filled almost a year ago, so this is a rare chance to join me on this amazing trip without a year plus planning! 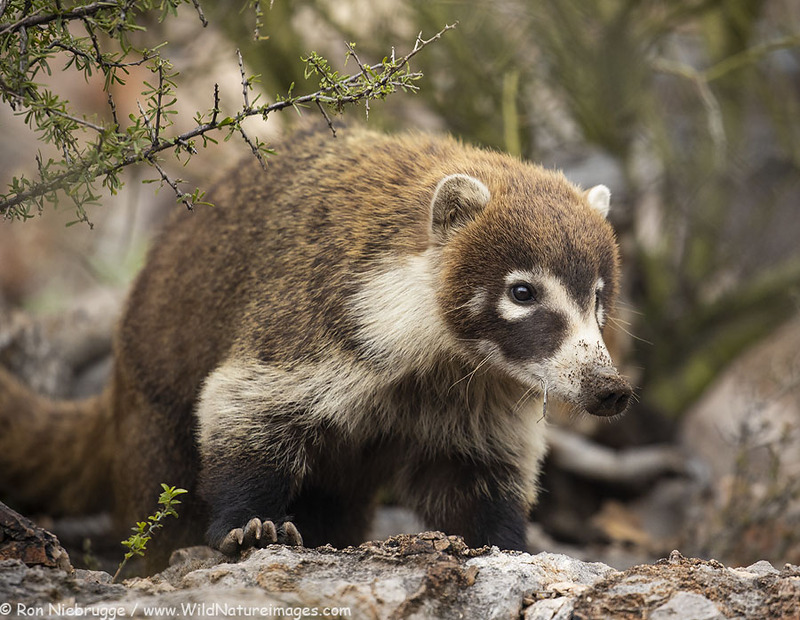 A Coatimundi near Tucson, Arizona. Doing a little scouting today at the Colossal Caverns, and was greeted by a pack of Coatimundis! This is one of many places we will be visiting on my Arizona Photo Tour in April in which I surprisingly still have two spots left! 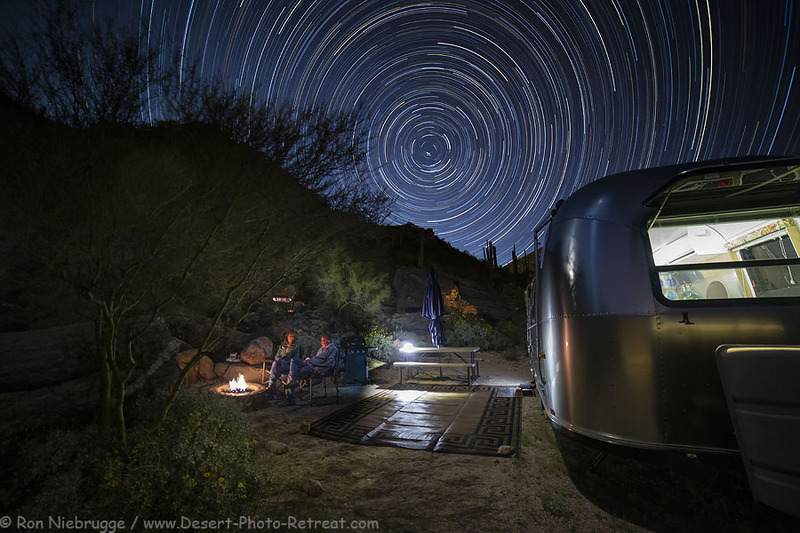 I think it is going to be a really fun trip, here is more information on my Arizona Photo Workshop. Hopefully the Coati will still be around! 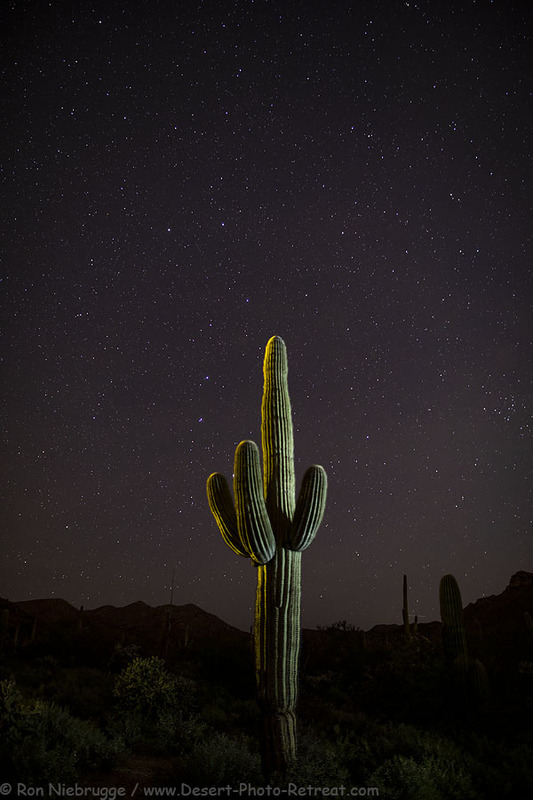 Saguaro at night Desert Photo Retreat, near Tucson, Arizona. A little night sky scouting Wednesday night as I get ready for my night photography workshop this weekend! 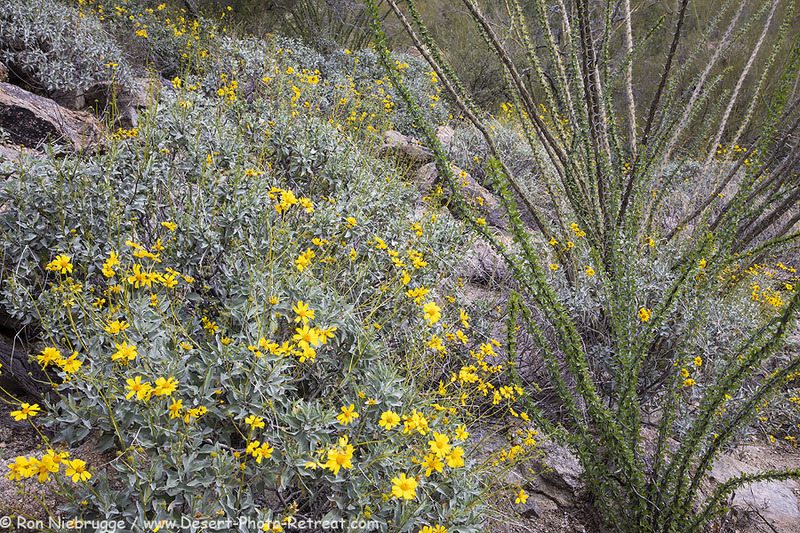 Brittle-bush, Desert Photo Retreat, near Tucson, Arizona. Today at the Desert Photo Retreat! The wildflowers are really beginning to look good, there are big numbers of little guys, a macro photographer paradise right now. And to think, we may receive more rain on Friday, and most certainly well next week. 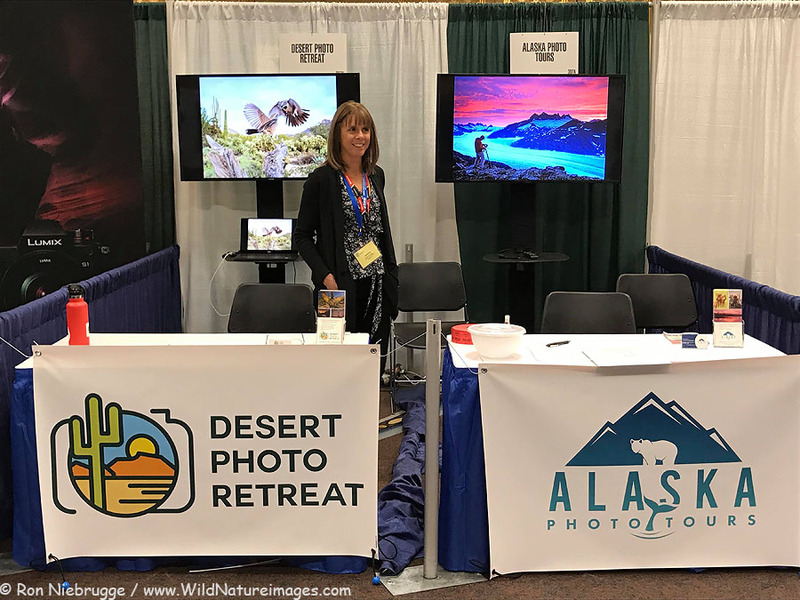 Our two booths at the NANPA Summit, Las Vegas, Nevada. Had a great time and met lots of people in Las Vegas!